I’ve slowly begun the (long) hard road of redecorating my apartment, and one thing I’ve learned is that it isn’t cheap! 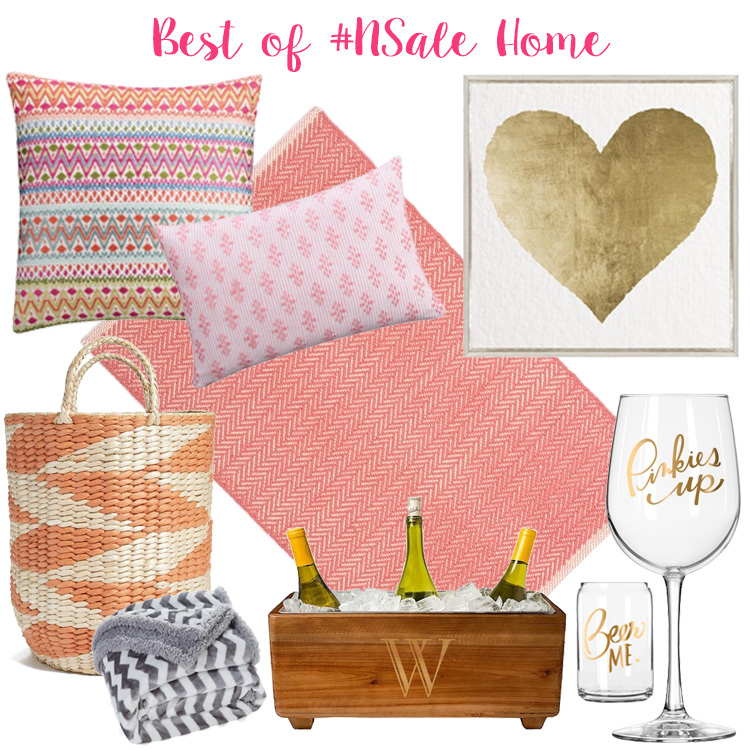 That’s why I get so excited to find gorgeous home goods on sale- like my picks from the #Nsale 🙂 Even if you aren’t ready to scoop up a ton of pieces (I know I’m still working on finding my perfect couch first) you can go wrong with a cozy blanket or sassy wine glass– let’s be real that will match everything! Every page of the sale was so good, it was impossible to narrow down my choices, so grab a cop of coffee and be ready to peruse! I love love love that monogram wine trough! I love that wine trough – might need to be added to my cart!